Afterhours Raises $4,000 for Austin Pets Alive! 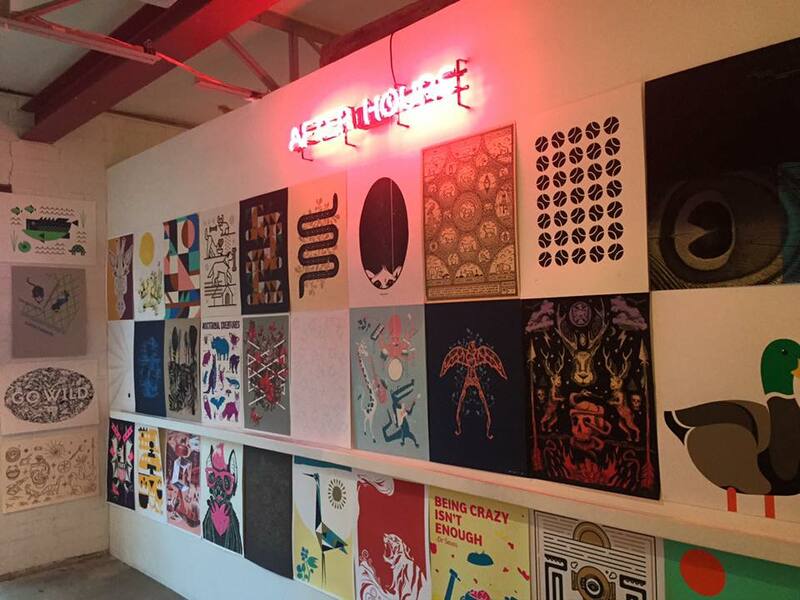 Our second annual Afterhours Poster Show was a huge success, raising $4,000 for our nonprofit partner, Austin Pets Alive! This year’s theme was “Scales, Tails, Feathers, and Paws.” We had 40 poster artists represented this year who turned out some truly amazing animal-themed work. Our turnout exceeded expectations, reaching capacity for most of the night, and in the end we sold over 300 posters, raising much-needed funds for APA. Many thanks to Lewis Carnegie for hosting us again this year, to our beer donors, our hard-working volunteers, the fantastic illustrators who participated in our live illustration challenge and to our poster artists, especially, whose work blew people away. We were also stoked to be part of both weekends of E.A.S.T., where we collaborated with Dribbble and Funsize Studios (again at Lewis Carnegie, thanks Lewis Carnegie) to host a panel on the creative process with four of our Afterhours artists: Sean Gardner, Annie Lin, Carly Stevens and Steve Wolf. It was awesome to see what makes their creative brains churn. We’re excited to see y’all at Afterhours 2017. Contact Ryan Swedenborg or Cameron Sandage, info@afterhours.com, to be involved in next year’s event.